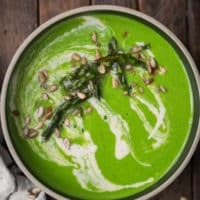 Spinach Asparagus Soup with Lemon Sunflower Cream | Naturally. I’m not one to often turn asparagus into soup. I think the crisp texture of asparagus makes the flavor better. This soup has changed my mind. I keep it simple with the base but the spinach adds a bump in nutrients (and green hue!) To make this soup easier, you could swap heavy cream for the sunflower cream but I do like the bit of earthiness that comes from the sunflower. 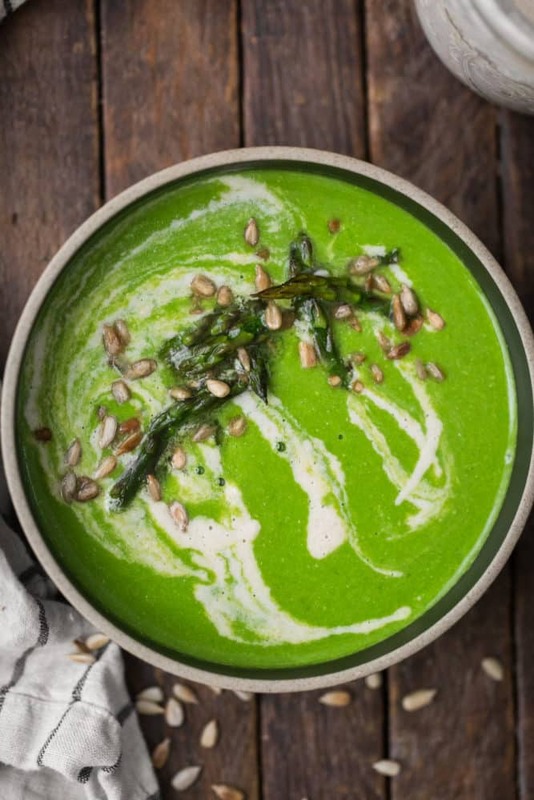 A bright spring asparagus soup with fresh spinach and homemade sunflower cream. Cover sunflower seeds with water and let sit for 2 hours. Drain and place the sunflower seeds in a blender with the rest of the cream ingredients. Puree, adding more water as needed, until the cream is smooth. Set aside. Preheat oven to 400˚F. Chop 1” from the bottom of the asparagus. Place in a roasting pan along with the sliced shallots, garlic, olive oil, and salt. Toss until everything is combined and well coated with the olive oil. Roast asparagus until tender, 30 to 40 minutes (see note). 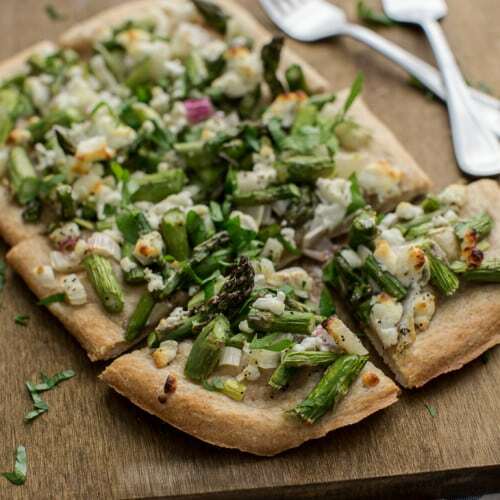 Set aside a few tips of the asparagus for topping. Heat the water/broth on the stovetop until warm. When asparagus is tender, combine with the spinach and 2 cups of the hot broth mixture in a blender. Puree until smooth, add more broth/water as needed to thin the soup. Set aside extra broth and pour the soup into the pot. Heat the soup over low until warm. Stir in the lemon juice and 3 to 4 tablespoons of the sunflower cream. 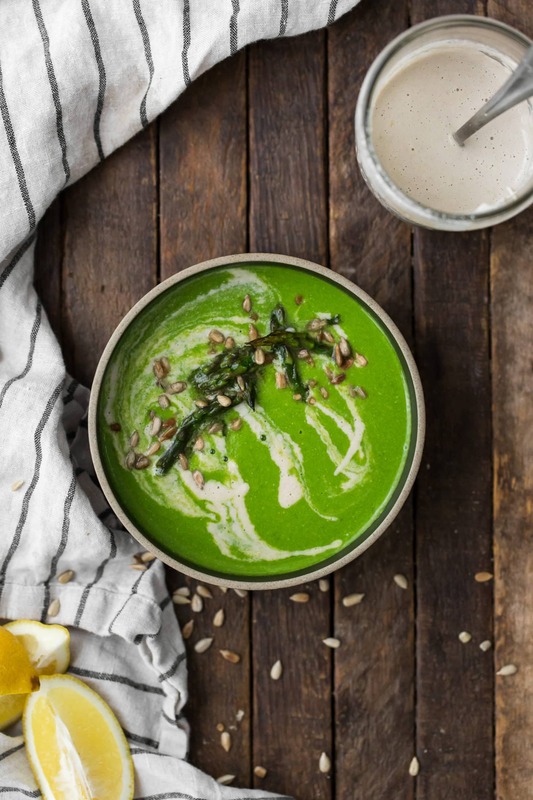 Divide the soup into two bowls and top with an extra drizzle of sunflower cream, the asparagus tips, and a few toasted sunflower seeds. 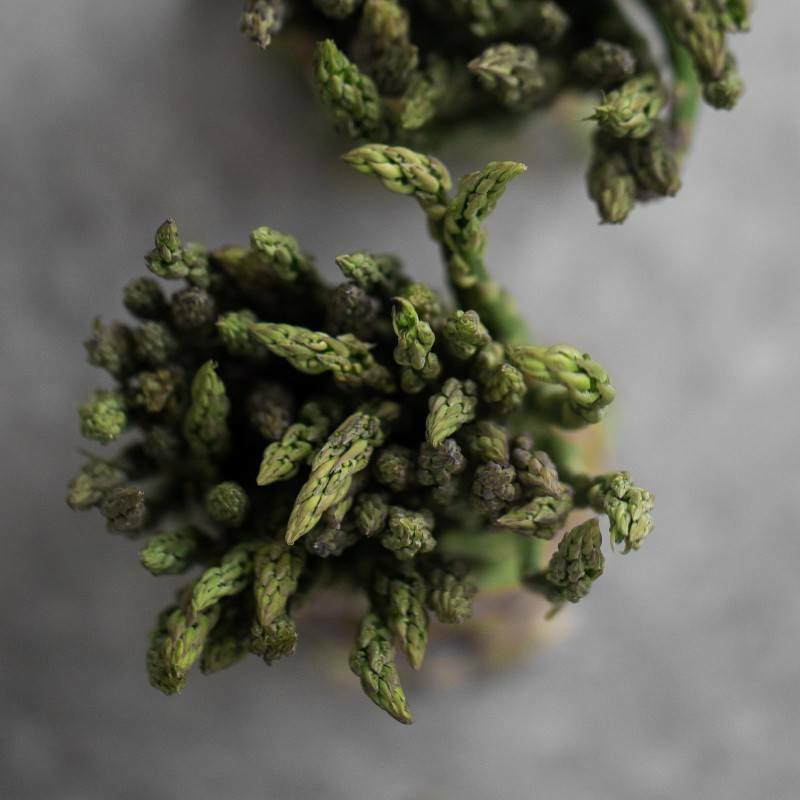 Tips & Tricks: Instead of roasting, you can sauté the asparagus. I would recommend doing this if you do not have a high-speed blender as roasting the asparagus still leaves a bit of snap to the asparagus. Really the only thing I wouldn’t change in this recipe is eh asparagus. Everything else can be swapped for something you might have on hand (or like better). 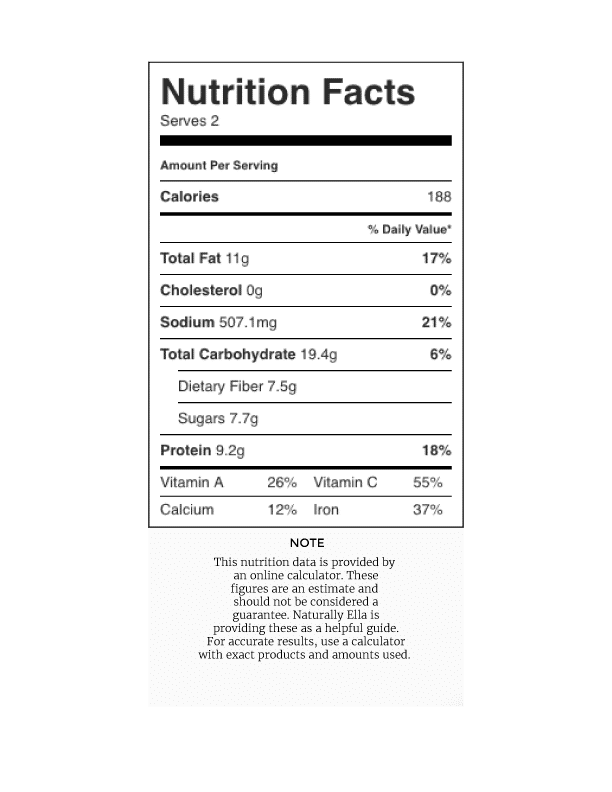 Kale/Chard: Swap out the spinach for destemmed kale or chard. I like to blanch the heartier greens before adding them to the soup. Cashew Cream: Swap out the sunflower cream for another type of nut-cream like cashew or almond cream. Alliums: swap the shallots out for green garlic, scallions, or spring onions. Asparagus is one of the items that I don’t really eat out of season. The thin, fresh stalks are no match. And so, I eat a lot of asparagus during the spring months. It’s an easy grilled side dish, the perfect roasting companion, and of course, makes the perfect asparagus stir-fry. Have you tried this cold? I love cold summer soups and am always looking for more! I have not but I think it might work! If you try it, I’d love to know what you think! The color of this soup is unreal!!! I love it. So so pretty:) I can’t wait to give it a try. I haven’t really thought to put asparagus is soup, but I sure to do love the flavor, so it makes sense!! Just made this and a loaf of rhubarb bread. Love it, it tastes like summer!